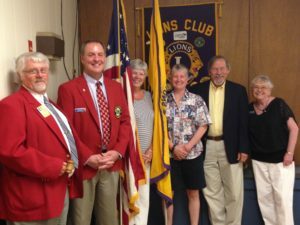 At the June dinner meeting, PDG Stanley Brothers inducted the officers for the 2017-18 year. 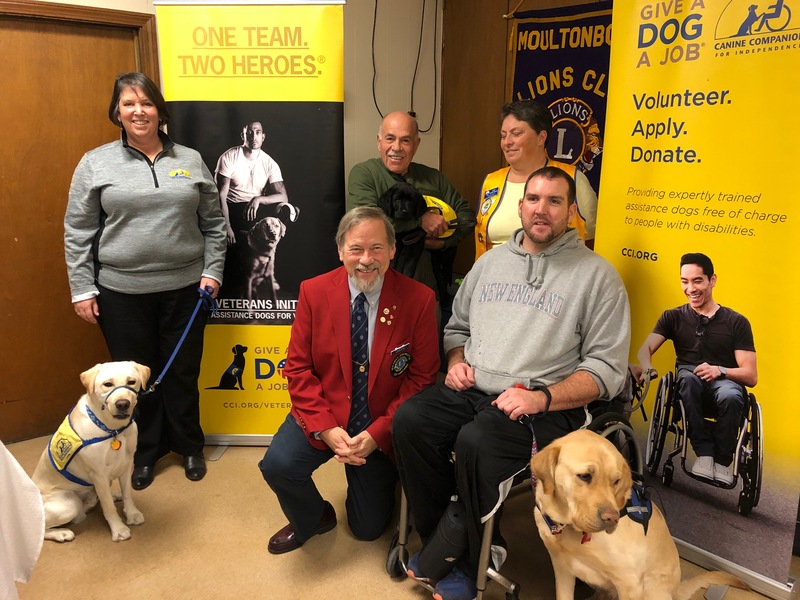 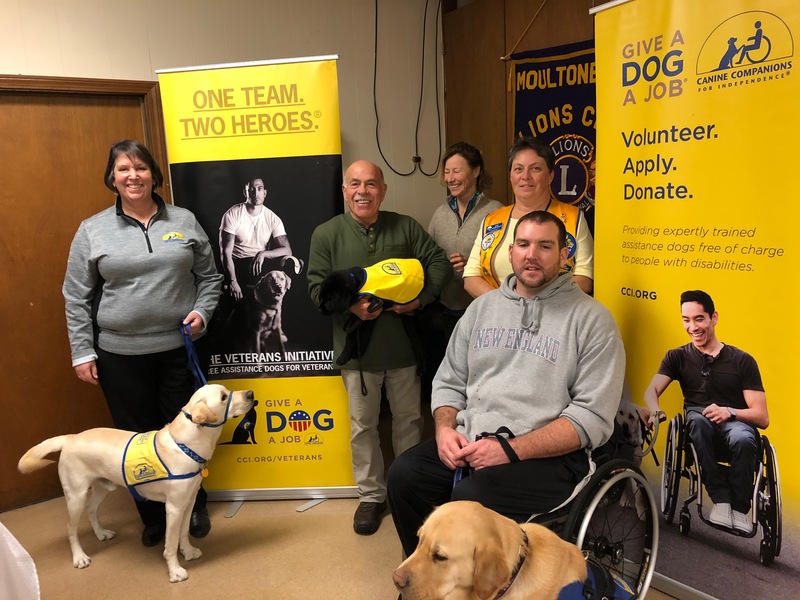 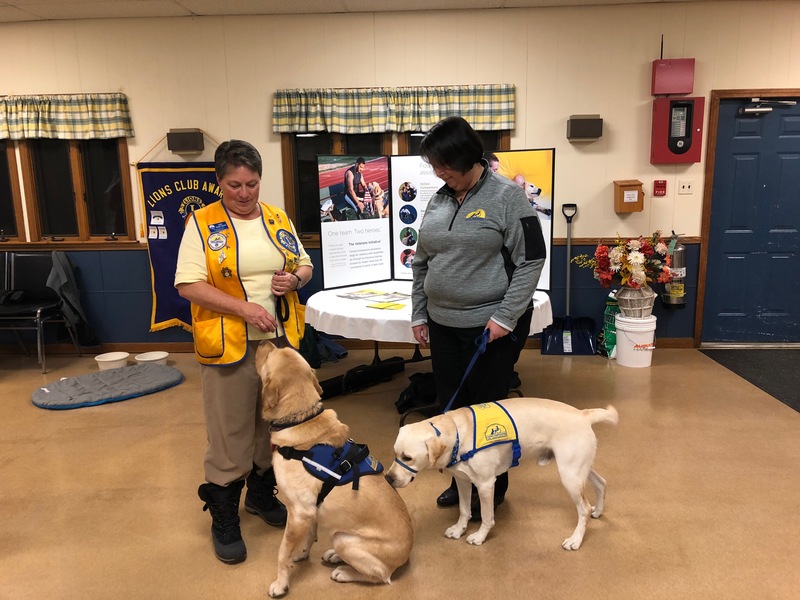 Pictured below from left to right are Stanley Brothers, President Mark Cotrupi, Secretary Sally Sibulkin, Treasurer Dawn Law, First Vice-President Peter Allen and Tail Twister Pat Keegan. 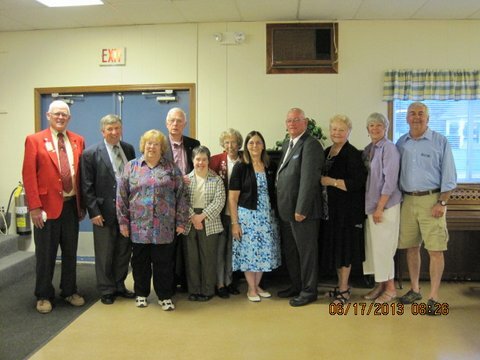 Missing is Second VP Pete Strople. 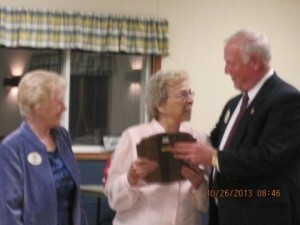 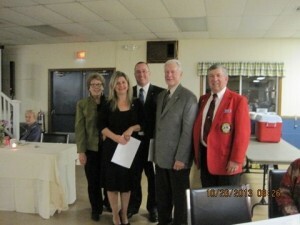 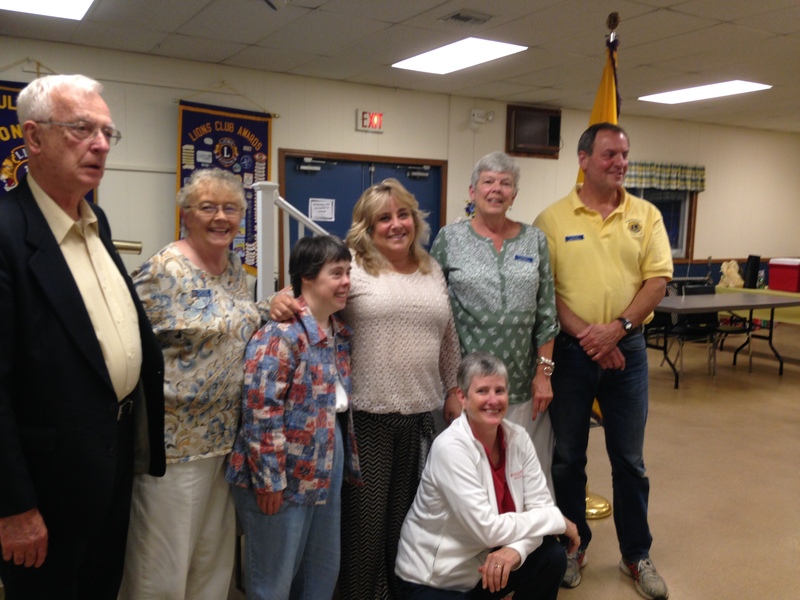 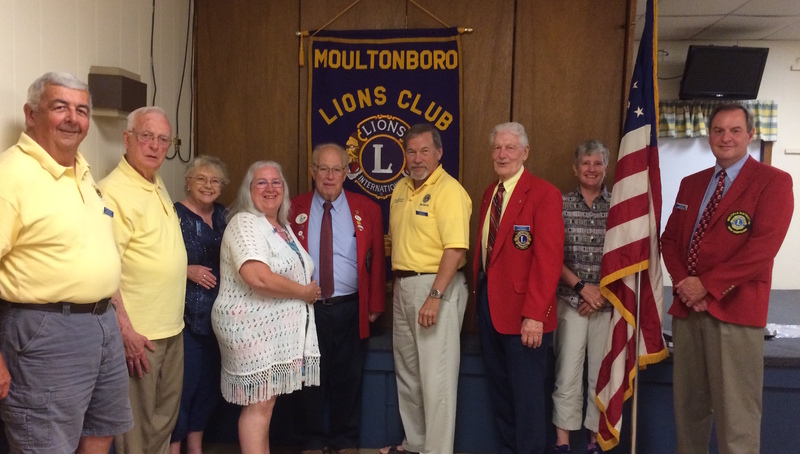 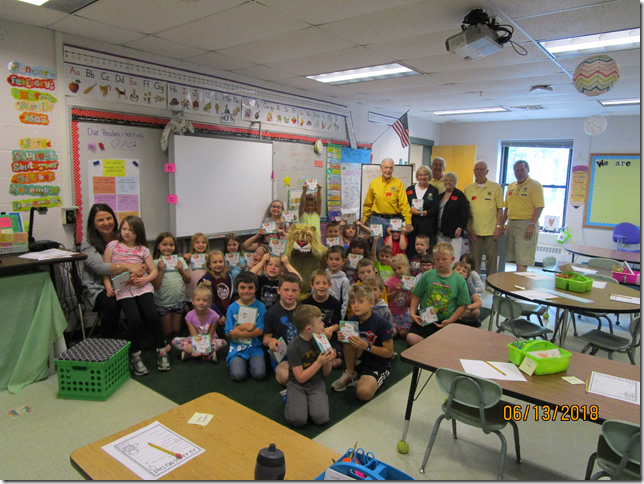 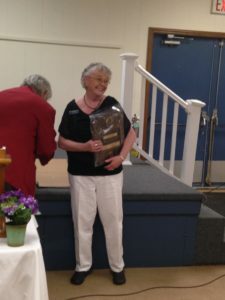 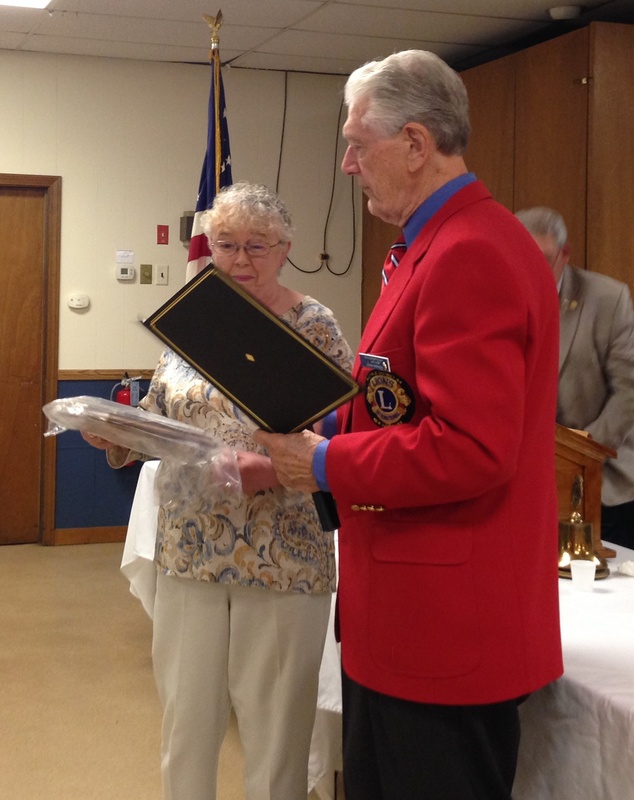 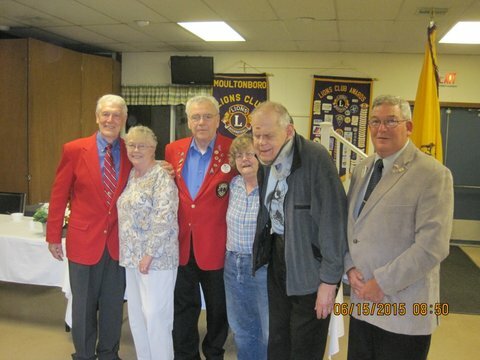 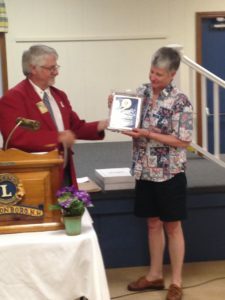 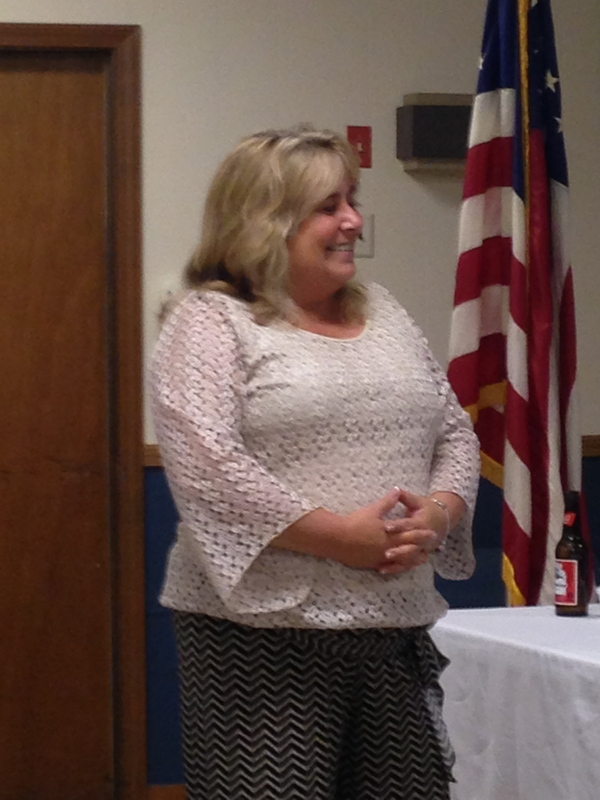 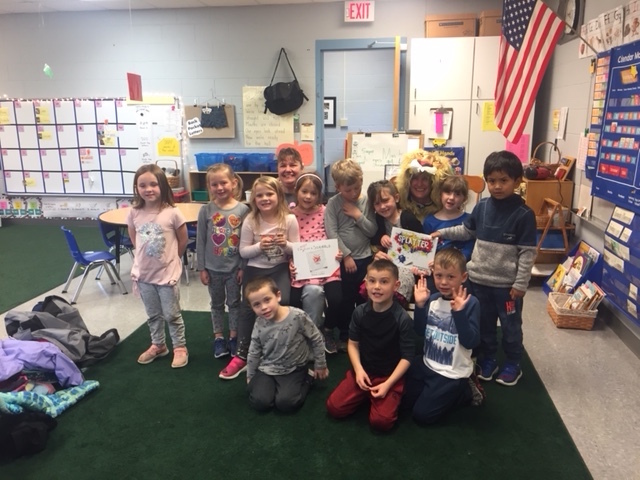 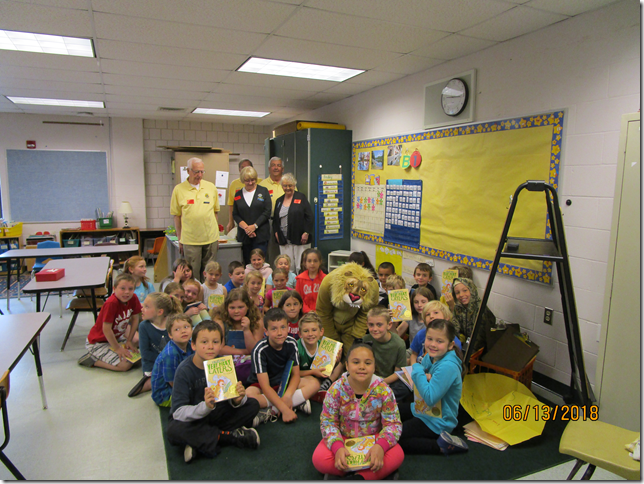 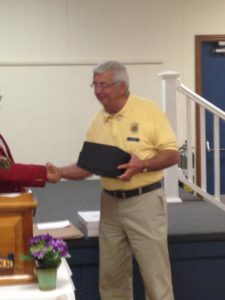 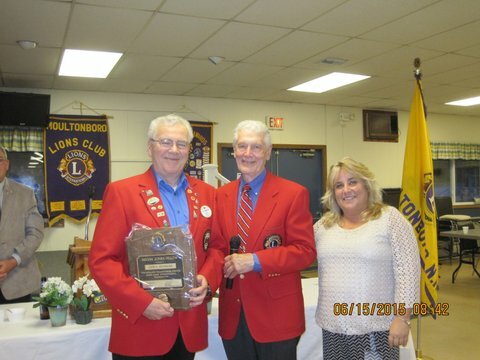 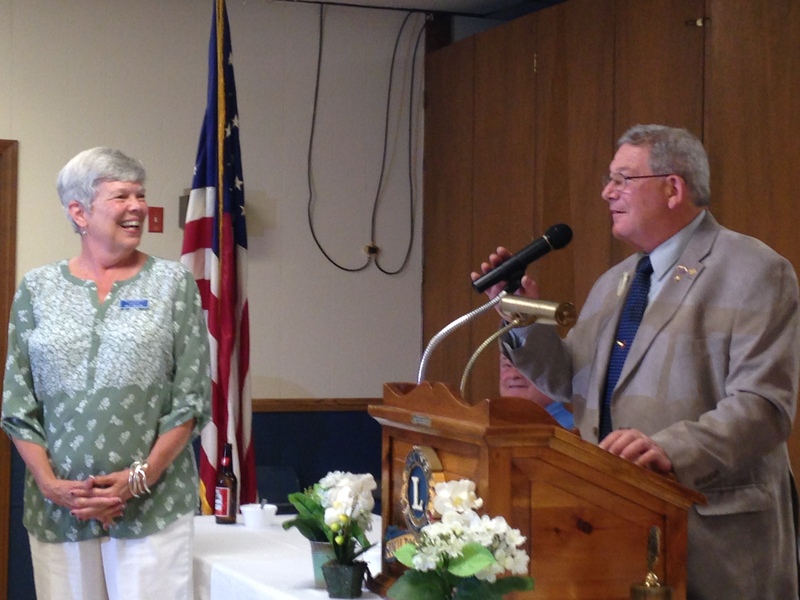 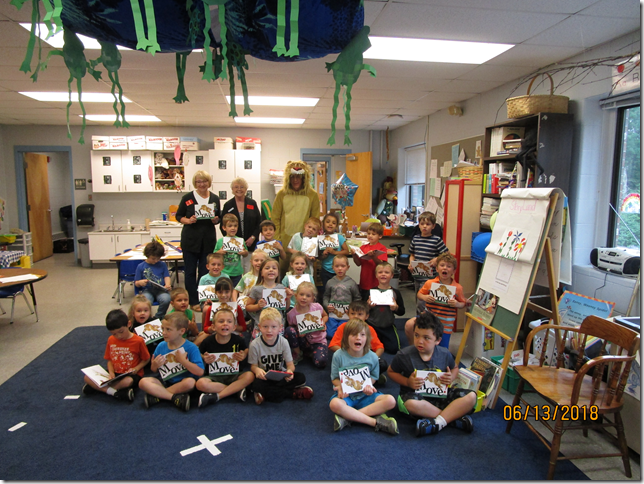 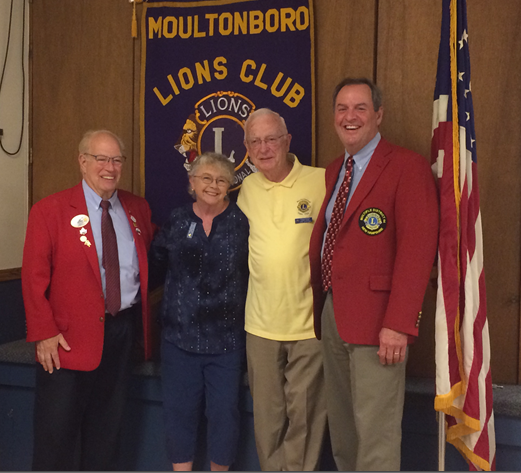 In addition, several Moultonborough Lions were recognized for their contributions over the past year. 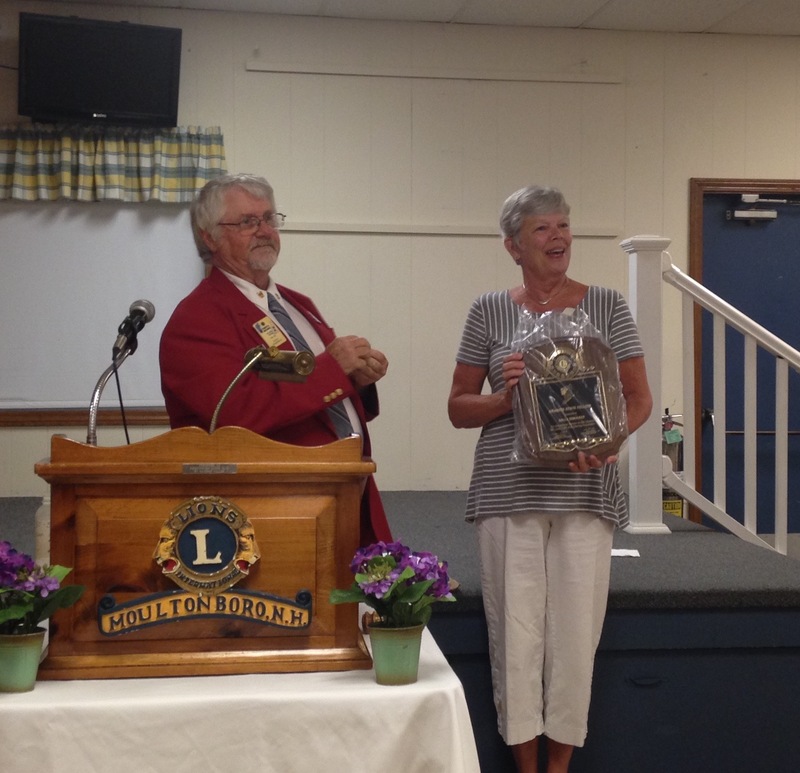 Lion of the Year was awarded to Dawn Law and Peter Strople (not pictured). 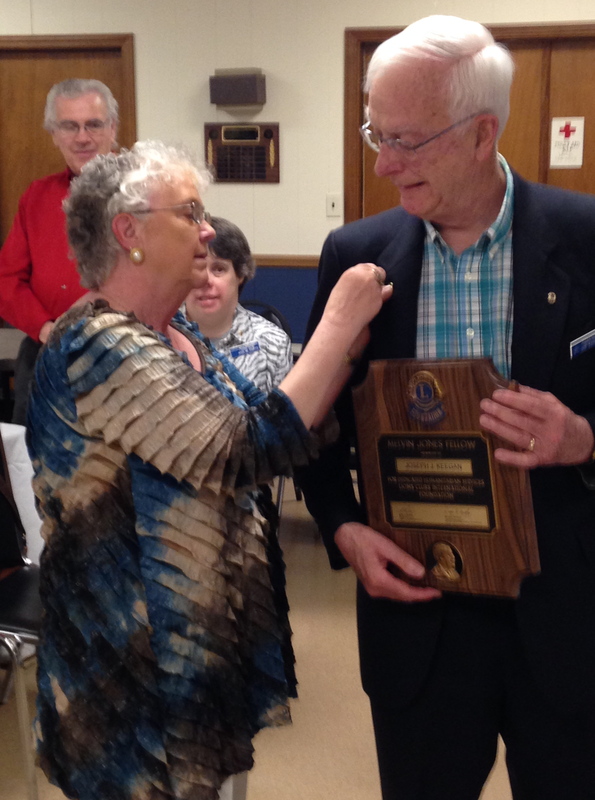 Good Shepherd Award was presented to Don Trudeau. 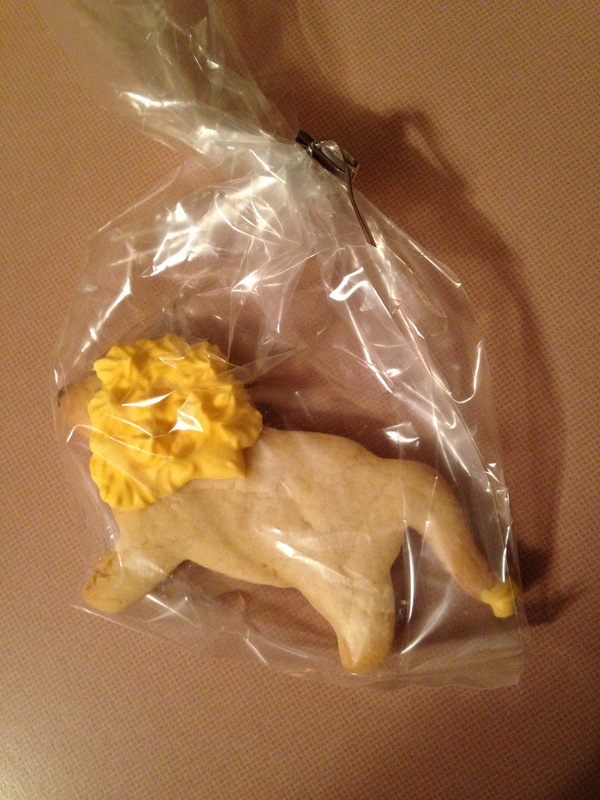 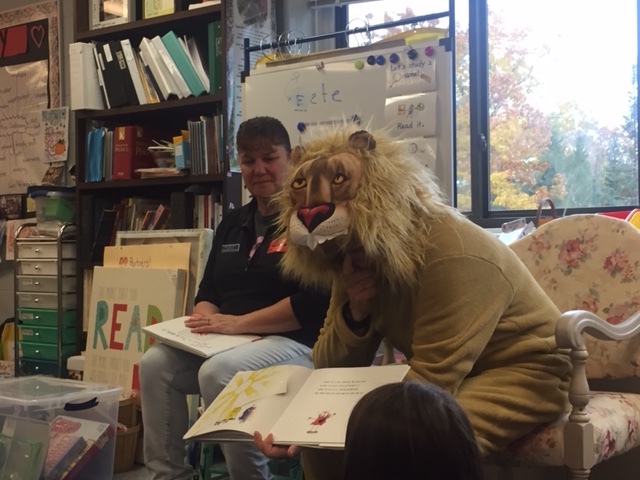 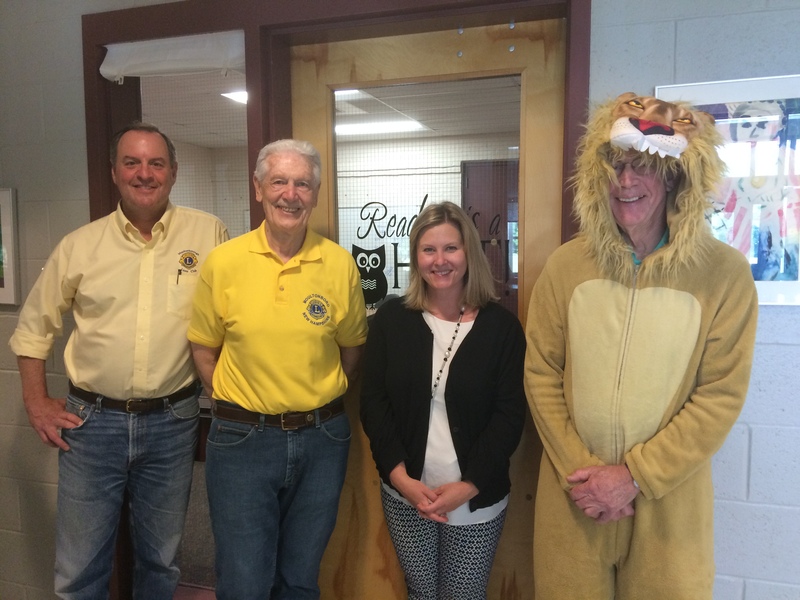 It seems as though January was the month of meetings for Lions. 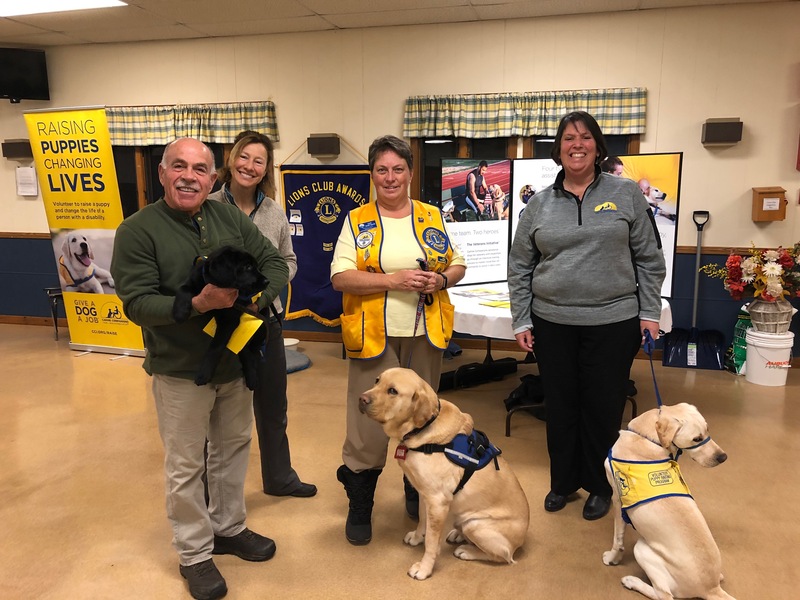 On Thursday, January 28, John Menken, Jeni Williams, Pat Strickland, and Sally Sibulkin attended the Zone meeting in Wakefield. 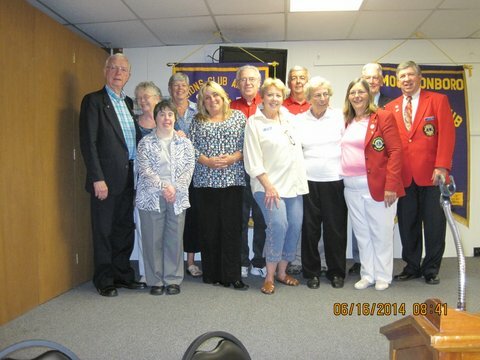 According to the Zone Chairperson, it was the best attended Zone meeting in a while. The next Zone meeting will be in Wolfeboro in March – the Green on Green meeting, corned beef and cabbage dinner, and bidding on items wrapped in green. 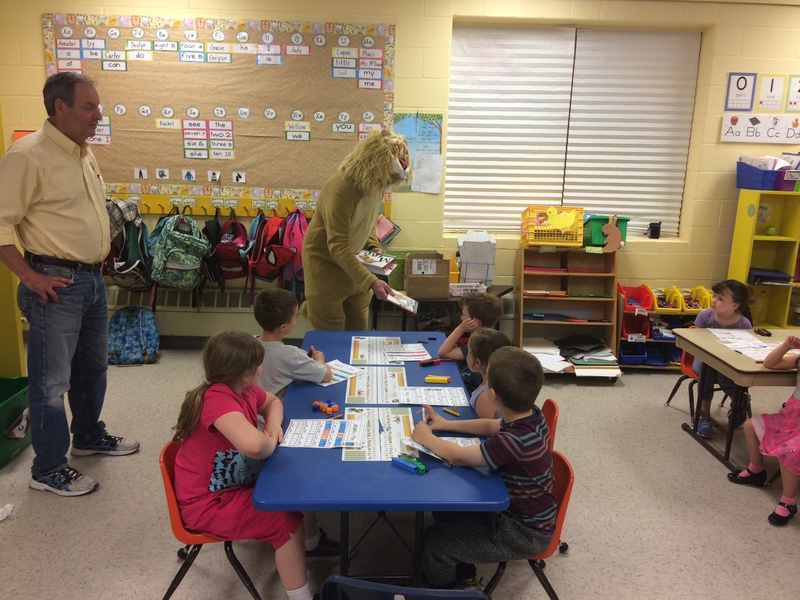 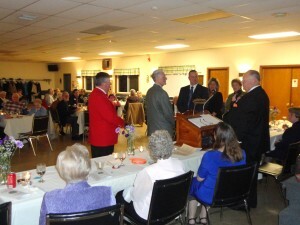 At the dinner, letters nominating Lions for the Lions Academy Awards of Recognition were read. 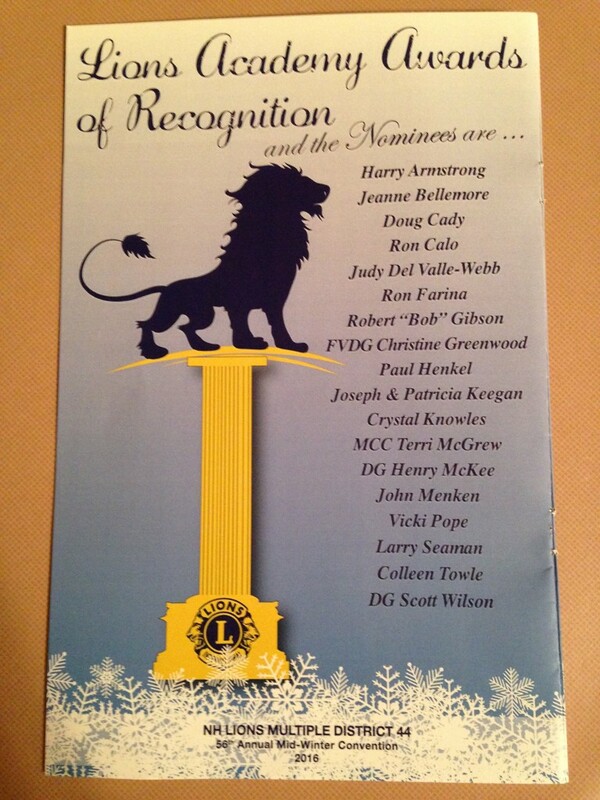 Our club, as you can see from the page in the program, had two letters: one for John Menken for Lifeboat Lion and one for Joe and Pat Keegan for Best Supporting Lion. 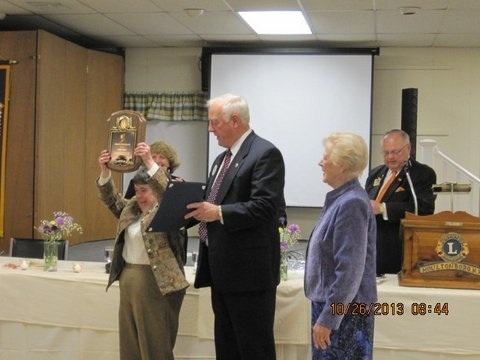 While neither one the trophy, we are proud to have them mentioned and honored. 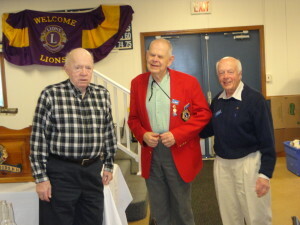 They were in excellent company. 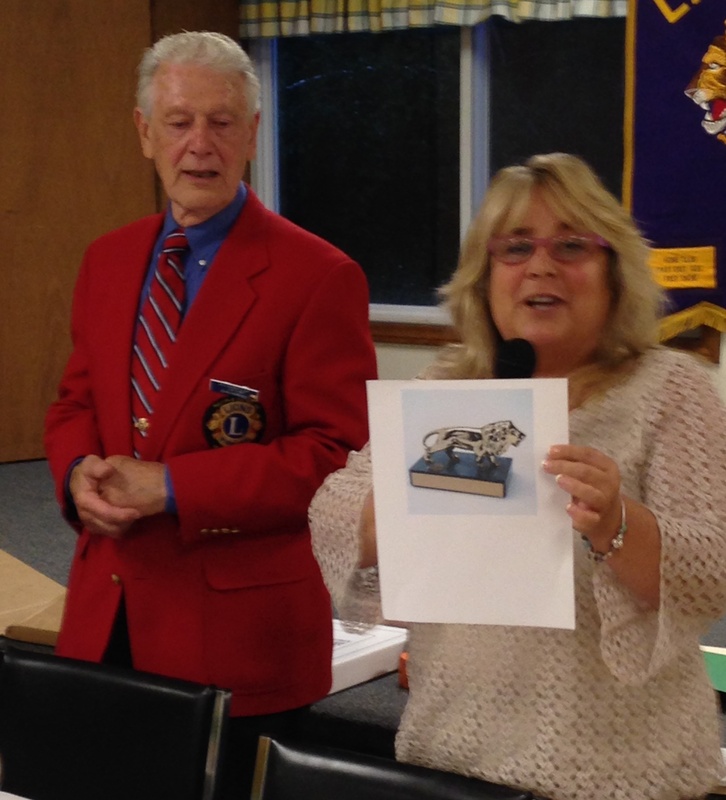 Also in January, we had to cancel the dinner meeting because of weather. 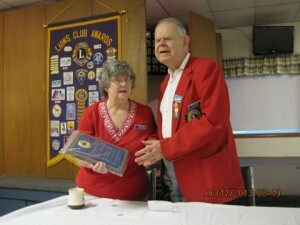 February’s dinner will be Pot Luck (as Donna is away) with a Valentine decorations on Monday February 15. 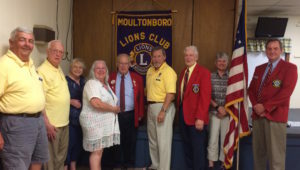 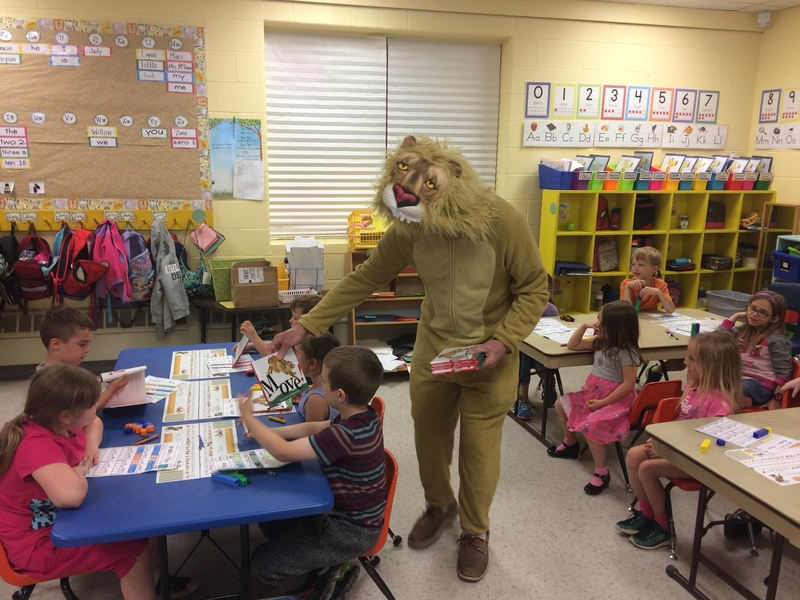 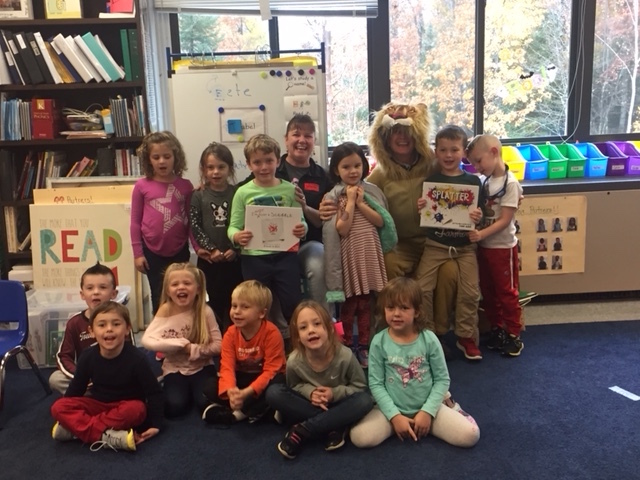 Don Trudeau…for his volunteer service at LRGHealthcare, the Boston Marathon, Squam Lake, and the Meredith Rotary as will as all he accomplishes with the Lions. 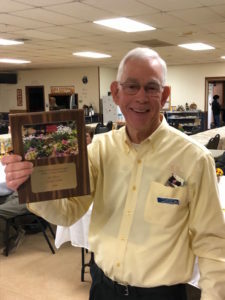 Lion of the Year – John Menken…who quickly and competently stepped up to the leadership “plate” and, as president, led the Club in many new projects and served as a calming and positive figure. 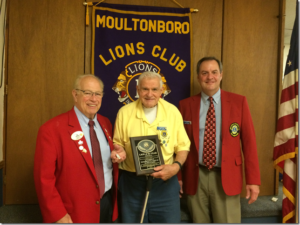 Melvin Jones Fellow – Jack Weinmann – for his positive dedication, his humanitarian services, and his willingness to serve others. 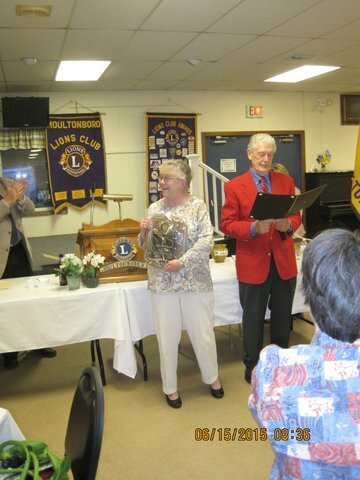 Retiring Secretary Award for Pat Strickland for her note-taking and record keeping talents and her dedication to Lionism. 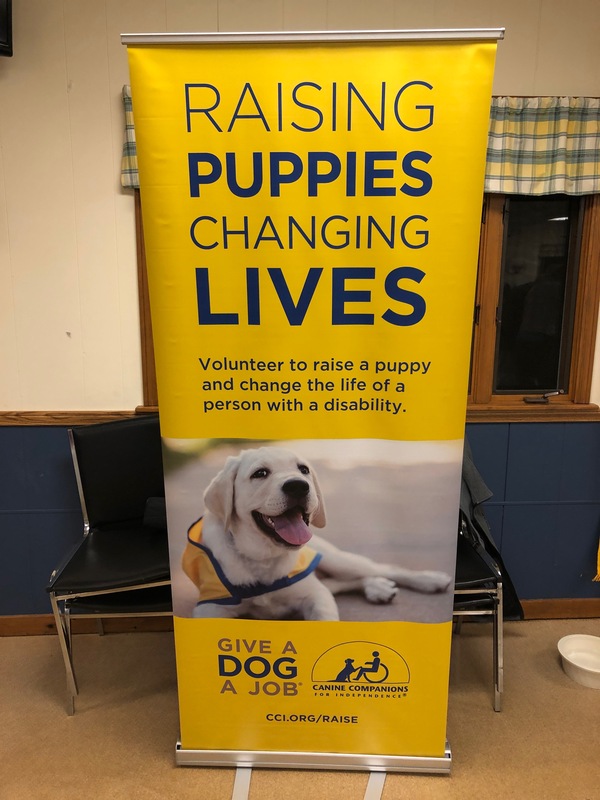 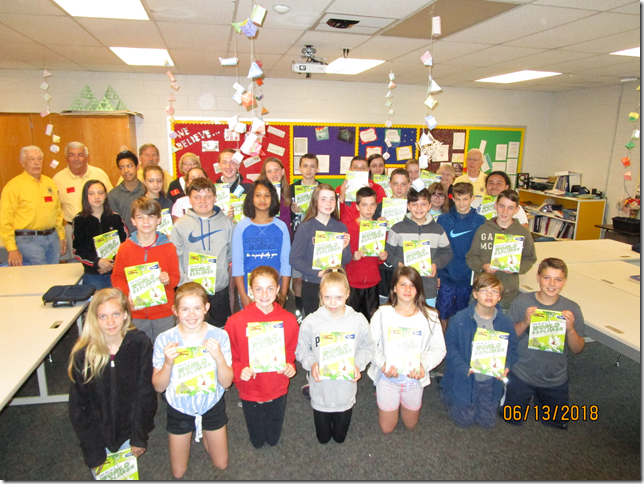 SPEAKERS: Our dinner meeting featured speakers in April was Moultonborough Police Chief Leonard Wetherbee who gave a very interesting, personal, and informative presentation in April. 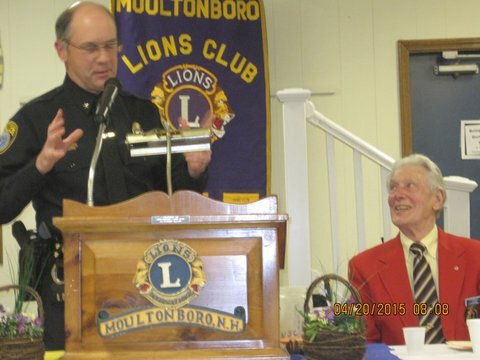 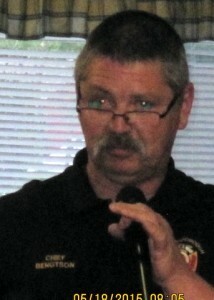 Moultonborough Fire Chief, David Bengtson, who spoke in May and presented a slide show of the history of the fire department in town and a look at some local fire incidents, and how the budget is used for equipment and uniform replacement. 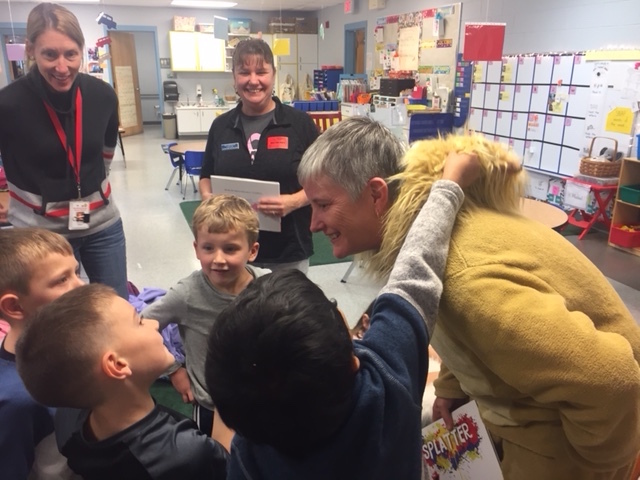 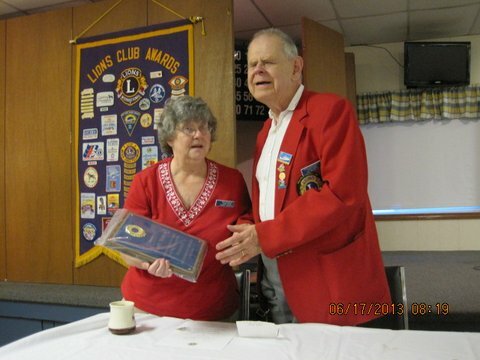 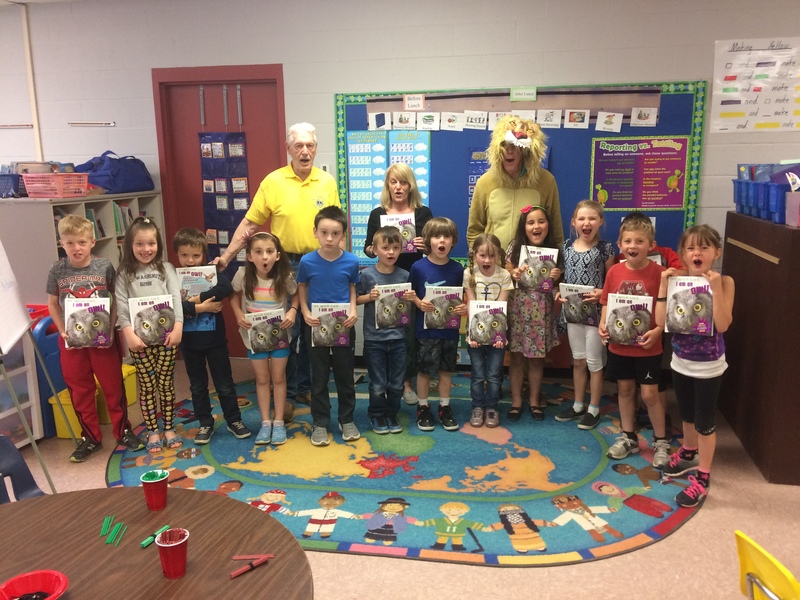 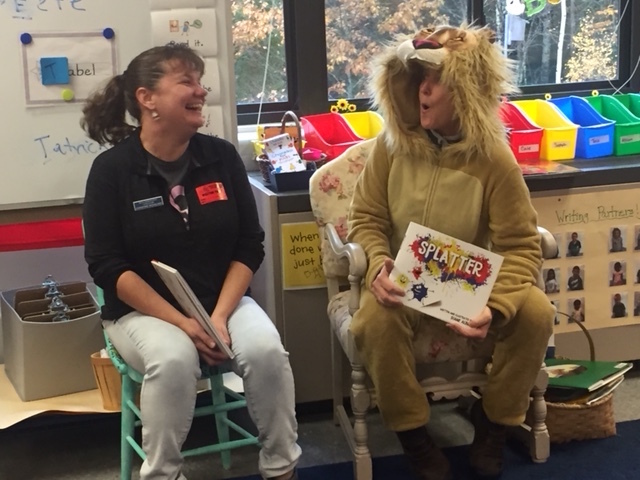 In April, Sandy Meskys (on the left) was honored for her 20 years as a Lion with a chevron pin. 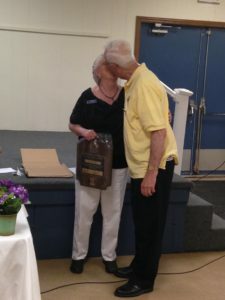 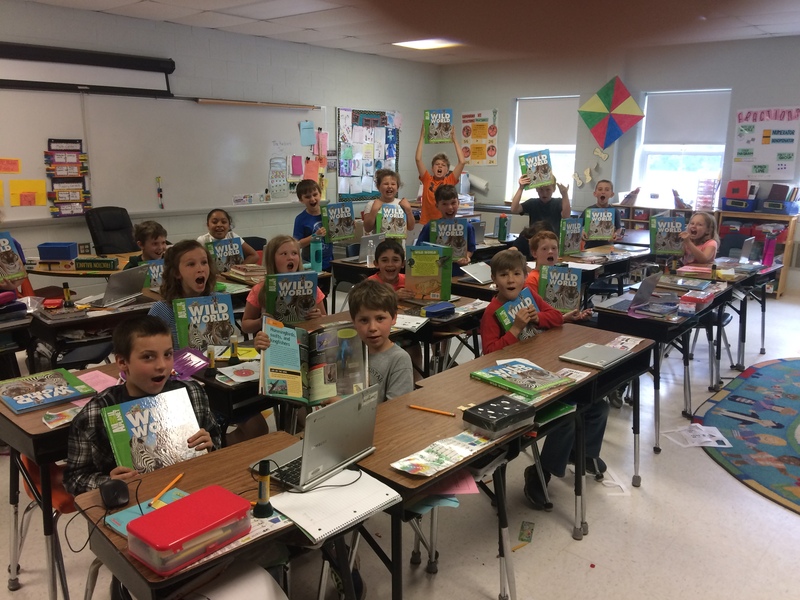 It should also be noted that she has had perfect attendance for 20 years as well. 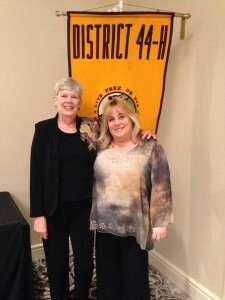 At the May dinner meeting, Betty Wasson (photo on the right) was recognized for her 35 years of leadership and service as a Lion. 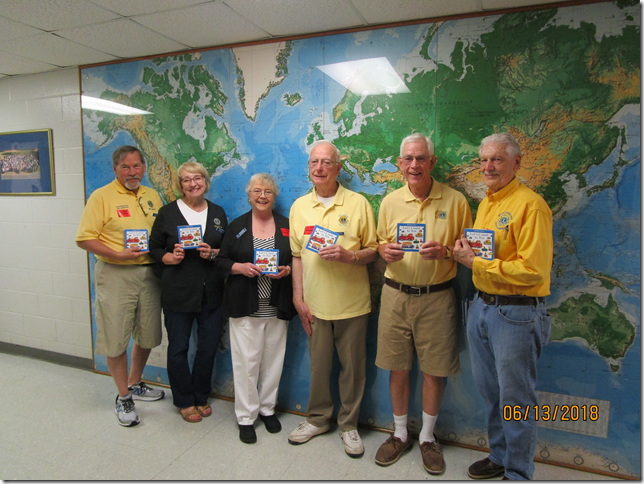 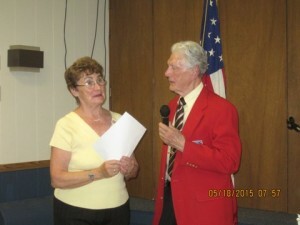 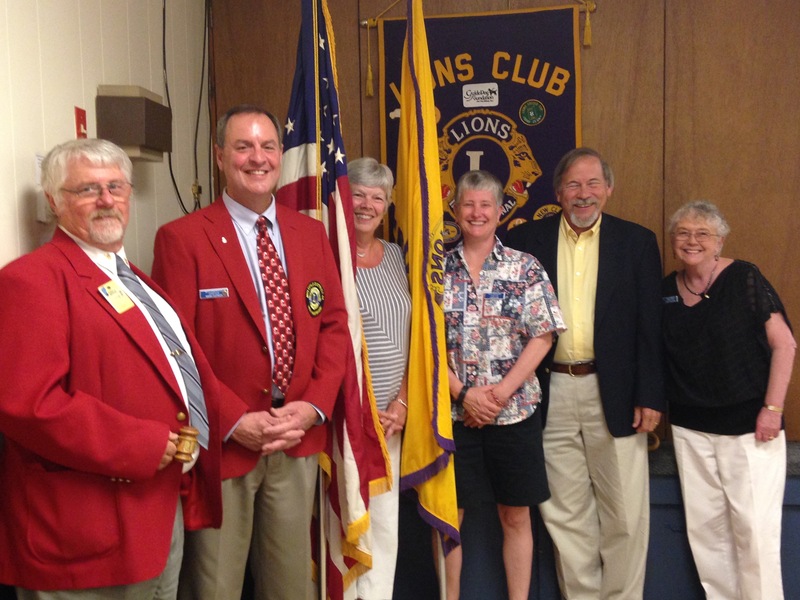 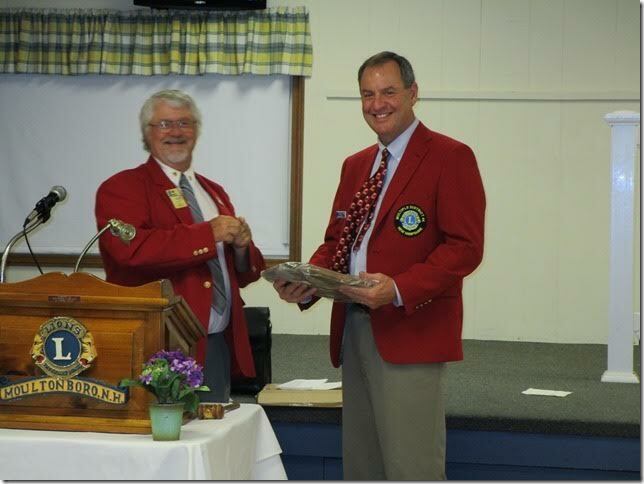 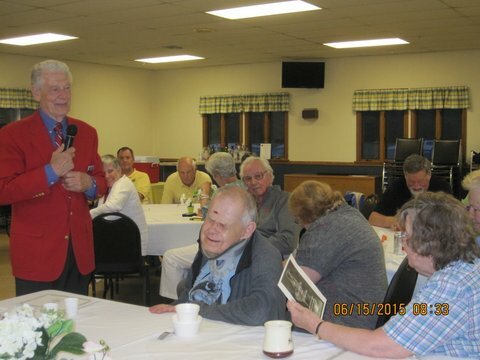 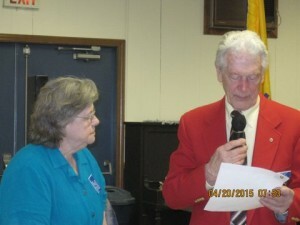 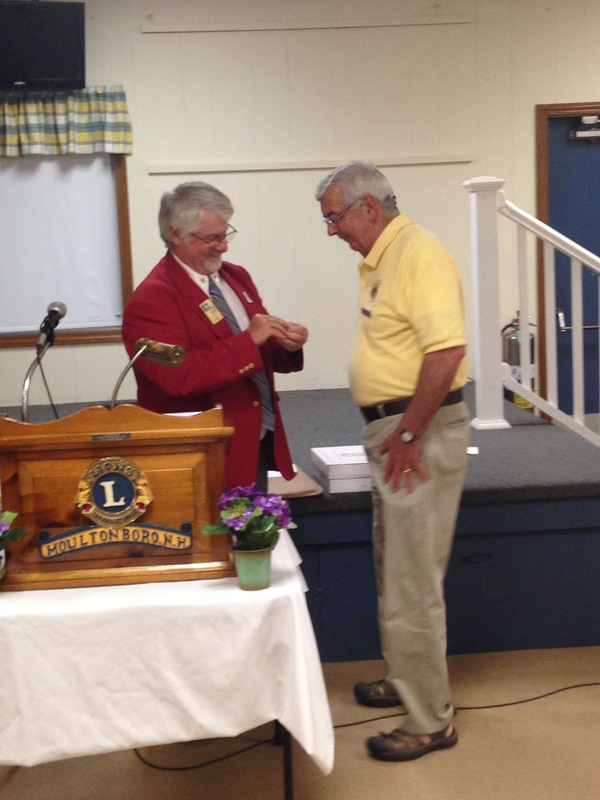 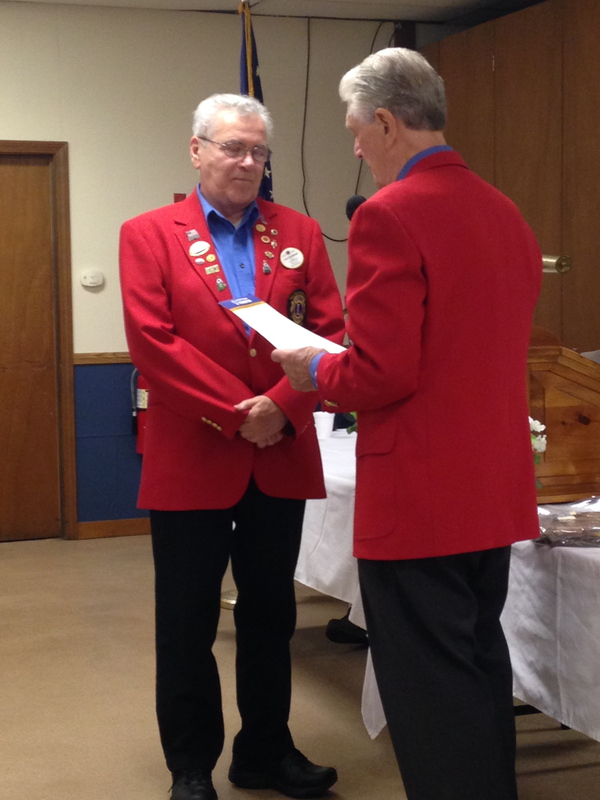 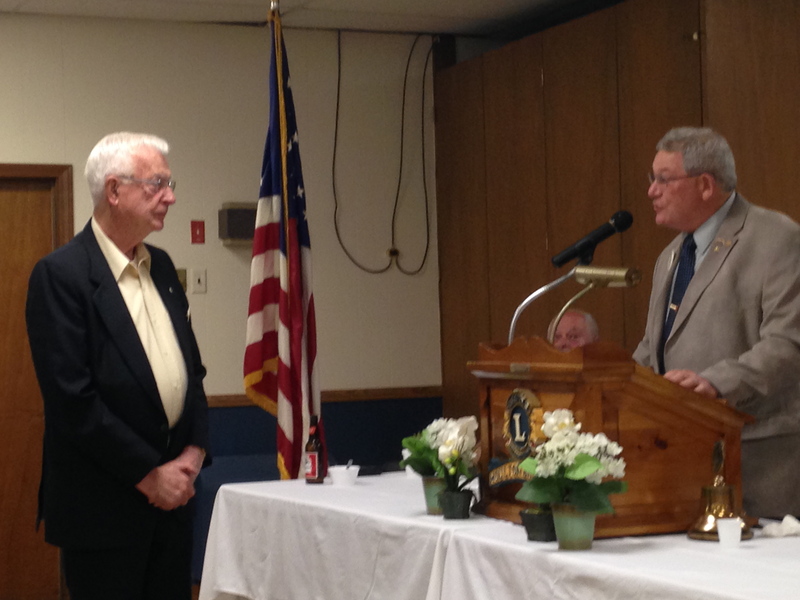 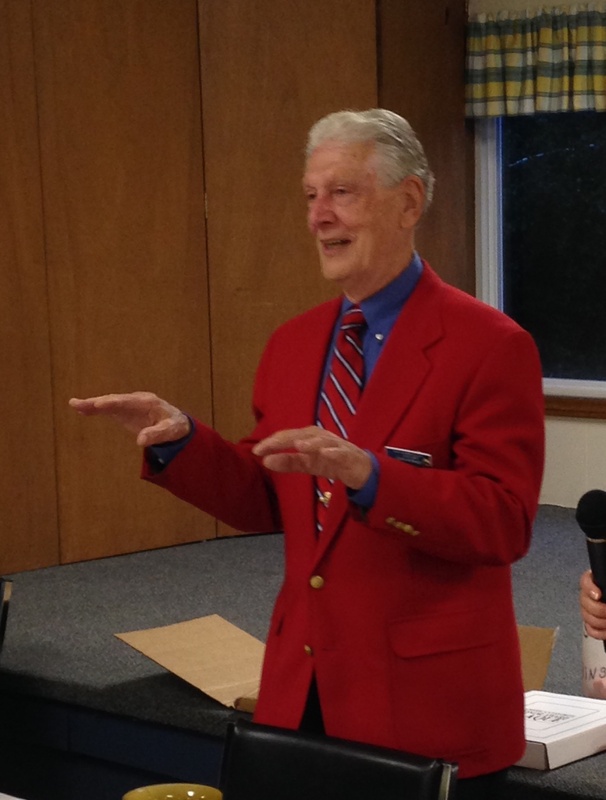 At the May dinner meeting, two Lions from the Moultonborough Club were given pins honoring their years as Lions. 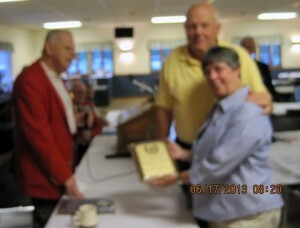 To the right of club president, Ed Meskys, is Jerry Donovan, celebrating 10 years of membership. 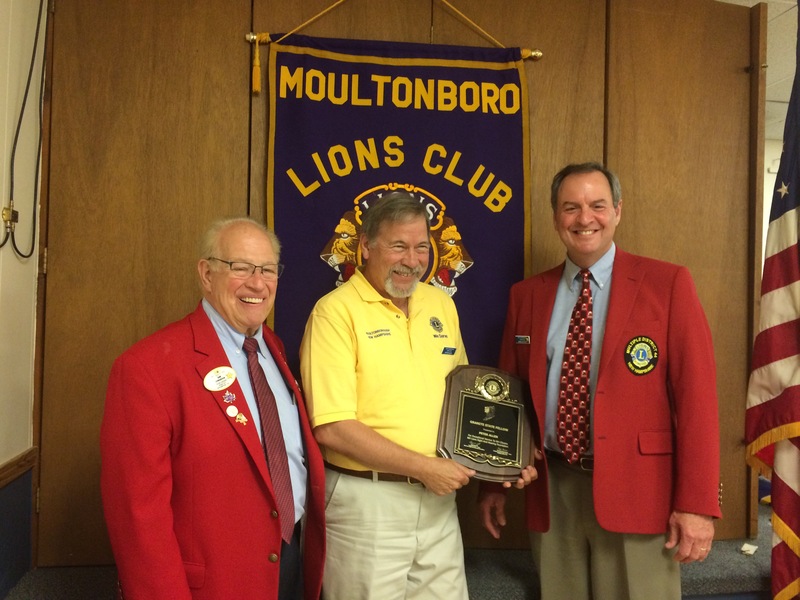 To the left of Ed and being honored for 38 years as a Lion is Ray Putnam.